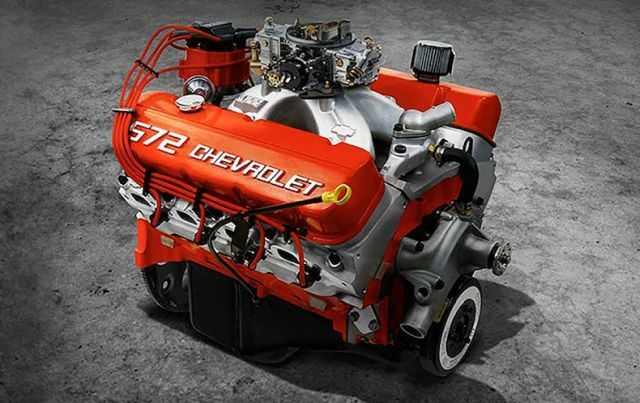 Chevrolet crate engines are something special because there’s 70 of them: 69 V8s and one turbocharged inline-four with 272 horsepower, or HP. Such a wide spectrum of engines goes hand in hand with a wide range of horsepower and a wide range of prices, as well. The most affordable Chevy crate engine is the turbo inline-four with a starting manufacturer’s suggested retail price (MSRP) of $9,315, while the most expensive engine is the LS9, which starts at $26,402. For price ranges in between, there is power ranging from 272 to 776 horses, and a Chevrolet-backed claim that they have designed, validated and built every single one of those engines with the same quality and performance standards that go into GM production engines. Then there are also the Connect & Cruise powertrain systems, which match a high-performance crate engine with a factory-match transmission, providing optimal performance for your Chevrolet. Whether you’re building a race car or just want a classic with more power under the hood, one of these 70 Chevrolet Crate Engines will give you exactly what you need. With so many options, you may be feeling overwhelmed and confused. If you need help picking an engine for your special project, keep on reading, because here is a list of the 10 most powerful Chevrolet crate engines available today. This list starts with the strongest engine of them all – the LSX454R. Under this name hides a 454-cubic inch displacement or CID., and a 7.4-liter, 776 horsepower V8 monster aimed at drag racers. The LSX454R is the most powerful LS crate engine of all time. Chevy designed and constructed for the specific, high-RPM demands of drag racing. It is a high-compression, solid-roller combination that uses Chevrolet’s new LSX DR 11-degree, six-bolt aluminum heads, which have raised ports that provide tremendous airflow. These high-tech heads come with an exclusive, high-rise open-plenum intake manifold and a Dominator-type carburetor to complete the furious package. The LSX454R’s bottom end includes Chevrolet’s trademark LSX Bowtie cylinder block with an all-forged rotating assembly. Most importantly, Chevrolet rates the engine at 776 horsepower when it’s naturally aspirated, but there’s always room for even more power when the turbochargers get involved. Chevrolet recommends drag racing enthusiasts use the LSX454R paired with a fifth generation Chevrolet Camaro stock body shell to create the ultimate dragster. However, with firepower like this, it’s completely irrelevant which body shell you choose, because when you have at least 776 horsepower under the hood, every look will be a winning one. MSRP of the engine is $21,347.